Stenographer notebook with 30 pt. 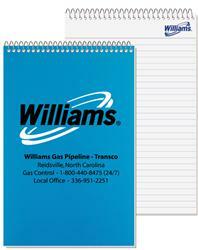 polypropylene cover and logo printed on every sheet. 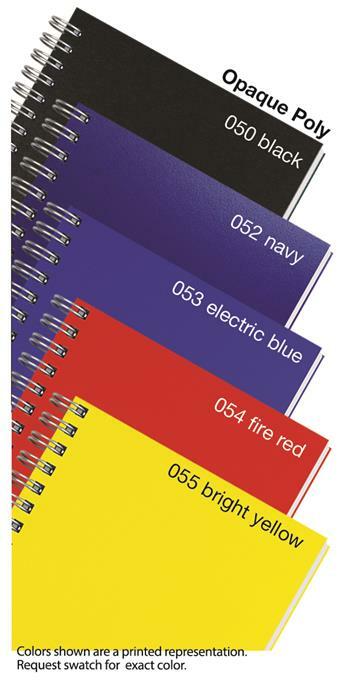 Boldly colored stenographer's notebook with 30 pt. polypropylene cover and logo on every inside sheet! Includes a blank 100 lbs white tag insert sheet. Contains 40 sheets of 50 lb. white offset with rules and logo printed one side/one color on each sheet. Coil bound on top or side with square corners. Heavyweight white 24 lbs coated stock back cover. Offer this durable promo to your clients and know that you've made a noteworthy impression. 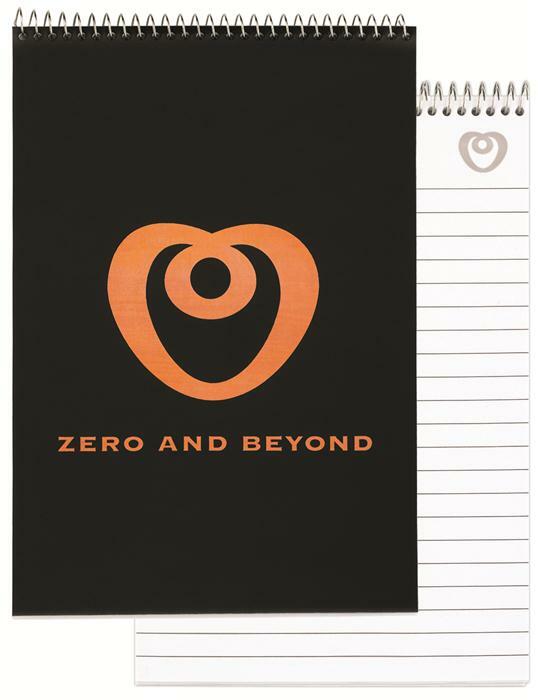 Size: 5 3/8" x 8 1/4"
Poly Composition Notebooks 8 3/16" x 10 7/8"